I want to get 3D building. I have DEM surface and 3D feature of building roof. I created multipatch class by extruded building roof with '-' value. Is it possible to create building from this multipatch and DEM surface ? 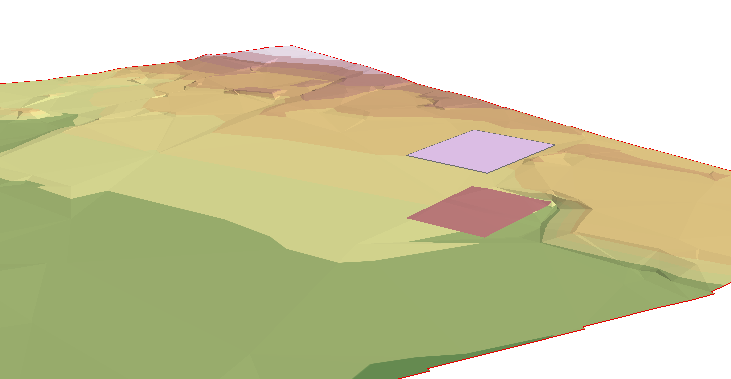 Interpolate Polygon To Multipatch (3D Analyst) create only footprnt of building's roof on TIN surface. Output is Multipatch but it is only plane. How can I create Multipatch between Roof's polygon and footprint's Multipatch ? Browse other questions tagged arcgis-desktop 3d-analyst 3d-model multipatch or ask your own question. Selecting Features located in extruded surface using ArcScene?